SCP-1509 with its sheath (the carvings are less visible from this side of the sheath). Special Containment Procedures: SCP-1509 is kept in a secure storage locker at Storage Site-08. Access to SCP-1509 is restricted to testing and preservation work. Personnel who have suffered minor wounds as a result of SCP-1509 are to report to the on-site medical facility immediately, where they are to be kept under observation. All objects discharged from the wound are to be contained by medical staff. All SCP-1509-1 instances are to be contained by medical staff, and destroyed. Any person injured with SCP-1509 is to be kept under observation until the wound has healed over, and an attending staff physician who has been briefed on the effects of SCP-1509 has given his signed permission to release the subject. In the case of non-Foundation personnel injured with SCP-1509, all subjects must be administered amnestics before release into the general population. In the case of a major or fatal injury arising from the mishandling or use of SCP-1509, the subject is to be moved to a secure medical facility within 30 minutes of receiving the injury. They are then to be sedated or restrained until the effects of SCP-1509 ceased, at which point the body is to be incinerated. SCP-1509-2 instances created during this process are to be immediately contained and interrogated. Should the SCP-1509-2 instance become violent, staff are permitted to terminate the instance immediately. Following the interrogation, the instances may be dealt with at the discretion of the current Level-2 staff member overseeing SCP-1509. Previous SCP-1509-2 instances have been dealt within the following manners: immediate termination, recruitment as D-Class personnel, indefinite detention, and being dosed with amnestics prior to being released into the general population. 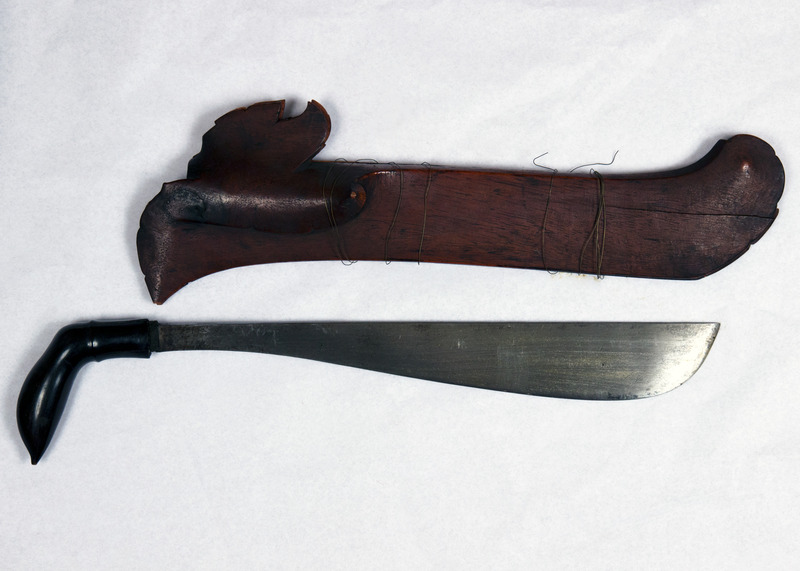 Description: SCP-1509 is a bladed weapon, similar to an Indonesian Parang. It is approximately 63 centimetres in length, with a steel blade 48cm in length and 11 millimetres thick at its widest point. The metal of the blade is partially tarnished. The object was recovered with a wooden sheath, believed carved into a shape resembling a bird, possibly a cockatoo. The object's handle is believed to be a later replacement for the original hilt. SCP-1509 does not display anomalous effects unless its blade is used to injure a human being (henceforth referred to as the subject). Wounds caused by SCP-1509 are affected by anomalous spacial distortion; any exploration of the wound finds that it has an unidentifiably large, possibly infinite, depth. This phenomenon appears to only occur from outside inspection of the wound itself- the subject is not affected adversely by this anomaly, and the anomaly will not appear in medical imaging. Any foreign objects placed inside the wound and abandoned will disappear if they are placed any further into the wound than the ‘wound’ should physically be able to penetrate. Depending on the type of wound inflicted with SCP-1509, one of two further anomalous effects, referred to as Effect 1509-1 and Effect 1509-2, will occur. 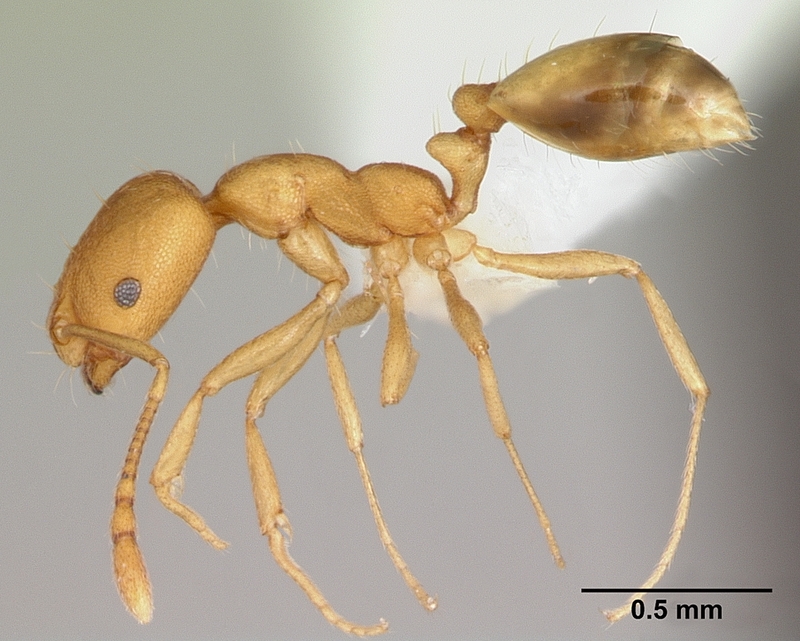 A specimen of Monomorium phaeronis recovered from a wound caused by SCP-1509 as a result of Effect 1509-1. Effect 1509-1 typically occurs if the wound caused by SCP-1509 occurs in an extremity or is less than 7cm in width. Initially, the wound heals extremely slowly, although blood flow from the wound is significantly lower than would be expected. Within 3 hours of being cut by SCP-1509, the wound left by SCP-1509 will release a group of Pharaoh Ants (Monomorium phaeronis) , usually numbering between 1 and 15 ants at a time. Examination has shown that these ants appear within the wound and crawl towards the opening ceaselessly from the point of their appearance, but the source of these ants has not been discovered. The ants do not appear to have any anomalous properties. Upon exiting the wound, the ants will attempt to move as far from the subject as possible, for reasons unknown. All ants discharged from the wound as part of Effect 1509-1 are classified as instances of SCP-1509-1. After a period of 12-18 hours following the injury, the wound will begin to heal at an accelerated rate until is fully closed. At this point, Effect 1509-1 appears to cease. Effect SCP-1509-2 occurs when SCP-1509 inflicts a wound on the torso, neck, upper arms, or thighs greater than 7cm in width, although the effect can occur on rare occasions in other bodily locations which have suffered an SCP-1509-induced wound of sufficient size. Like Effect 1509-1, the wound will typically heal at very slow rate, and blood loss from the wound will be significantly lower than what would normally be expected of such a wound. However, within 3 hours of being cut, the subject will begin to feel nauseous, complaining of unpleasant sensations of movement from within the area of the wound. Over the next hour these sensations will grow more intense and become acutely painful for the subject, who will typically react with panic to these events. Once the subject begins to feel pain from the sensations, Effect 1509-2 enters its final stage. Over a period of between 20 and 180 minutes, an instance of SCP-1509-2 will force its way out of the wound, apparently propelled by peristalsis. SCP-1509-2 is the collective designation for the human beings created or produced by Effect 1509-2. Instances vary in size, apparent physical age, gender, ethnicity, and most other physical differentiators. The instance is typically covered in a thin membrane similar to an amnion, and a clear fluid. Typically an instance of SCP-1509-2 will be unconscious and immobile, but alive, during the process of Effect 1509-2, but certain instances will emerge fully conscious and physically attempt to speed the process. After emerging from the wound, such instances will fall unconscious. This process significantly widens the wound and causes extreme pain to the subject. Instances of SCP-1509-2 show anomalous levels of flexibility during this process, being able to pass through wounds which should not be able to accommodate their size. Effect 1509-2 is universally fatal to the subject; if the subject survives the massive trauma caused by the process, they will quickly lapse into unconsciousness, followed by death. SCP-1509-2 instances are anatomically and genetically identical to normal humans. Each instance of SCP-1509-2 is genetically identical to, claims to be, and shares identical memories to, a deceased person familiar with the subject who has died within the past 30 years for reasons other than old age. If a wound is made using SCP-1509 on a subject who has committed murder, manslaughter, or has similarly been responsible directly for the death of a human being, the instance of SCP-1509-2 produced is typically one of their victims. No instance of SCP-1509-2 will be able to recall anything following their death and prior to their gaining consciousness following expulsion from the wound. Addendum: SCP-1509 was recovered from the personal collection of antiquities collector ███████ ███████, who had apparently collected it from an archaeological excavation at ██████, Indonesia. Based on information he provided, and independent investigations undertaken by the Foundation, it is believed that SCP-1509 was used as a punishment for murderers by an unknown society living in pre-Islamic Indonesia. Strict rules existed as to the correct implementation of SCP-1509, restricting its use to criminals and elderly or extremely sick volunteers. The society which made use of SCP-1509 appears to have had a strong association between ants, cockatoos, and the concept of death and rebirth.